Former Secretary of State Condoleezza Rice took to the witness stand for the prosecution in a criminal case against a former CIA officer on trial for leaking details of a top-secret spy program. 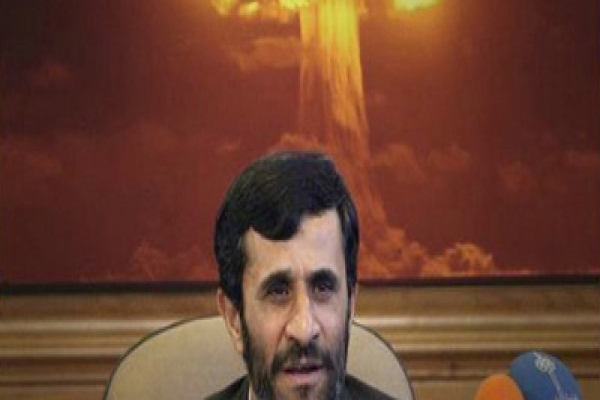 Back in 2003 the Bush administration tried to silence a New York Times story that was set to leak a CIA plot to undermine Iran’s nuclear program by secretly providing Tehran with faulty atomic weapon plans. Condoleezza told Jurors that her attempt to silence the New York Times from publishing their article came as a direct order from President George W. Bush. She said: “The president and I talked about it and decided I should ask the New York Times leadership to come to the White House for a meeting to discuss why that story should not be published… I certainly understood the [implications] of the White House asking the New York Times not to publish a story. That’s why I talked first to the president about whether we should even do so”. Rice said she was gravely concerned when she heard the Times had gotten wind of the closely guarded CIA program, which involved a Russian nuclear engineer working with the spy agency to try to entice the Iranians into adopting designs altered by scientists at a U.S. national laboratory. “It was one of the only levers that we believed we had — that the president had — to try to disrupt the Iranian nuclear program,” the former secretary of state and national security adviser said. Talking points used by Rice at an April 2003 meeting with Risen and the then-chief of the Times’ Washington Bureau, Jill Abramson, show Rice didn’t hold back when describing the cataclysmic consequences that could flow from publishing the story. “This information in the wrong hands could easily lead to the death of a U.S. citizen and conceivably contribute to the deaths of millions of innocent victims of a foreign nuclear weapons program,” Rice said, according to the talking points. She told jurors she hewed closely to the script but could not be sure she delivered them verbatim. Rice also confirmed that at the meeting held in her office and attended by then-Director of Central Intelligence George Tenet she asked the Times not only to withhold the story but to cease reporting on it and to get rid of all documents relating to it. After the book was published, the FBI stepped up a criminal investigation into the leak. Sterling, one of several former CIA handlers for the Russian engineer at the center of the operation, was indicted in 2010 on charges that he leaked details of the operation to Risen. The ex-CIA officer faces 10 felony counts, including unauthorized disclosure of national defense information, mail fraud and obstruction of justice. Rice, now a professor at Stanford and a fellow at the Hoover Institution, was calm and composed during her time on the witness stand. However, she was notably more cooperative with the prosecution than with the defense. Prosecutors appeared intent on using Rice’s testimony to establish the lengths to which the government had gone to prevent the story from getting out and to underscore for jurors that the information was so potentially damaging to U.S. national security that the Times declined to run it. However, the prosecution initially said it preferred to avoid imposing the inconvenience of testifying on Rice and instead sought simply to show jurors the talking points she read at the 2003 meeting with the Times. U.S. District Court Judge Leonie Brinkema rejected that proposal.